I try to use a few different stock propellers for new F1Q model. They work don't answer my requirements. For the Hacker motor which I used in this model, need propeller with 280-300mm diameter and 100-150mm (12' x 5') . I build new prop with this parameters by myself! 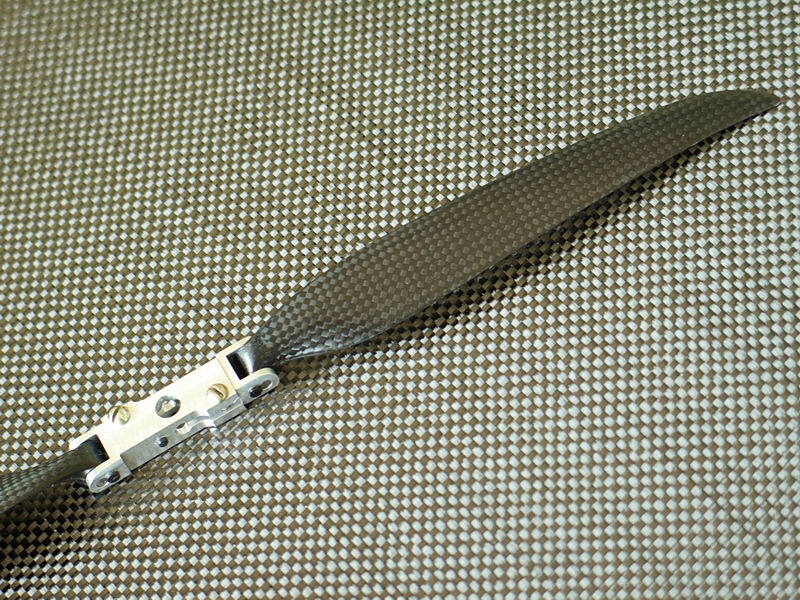 This prop have adjustable pitch, made from carbon fiber. 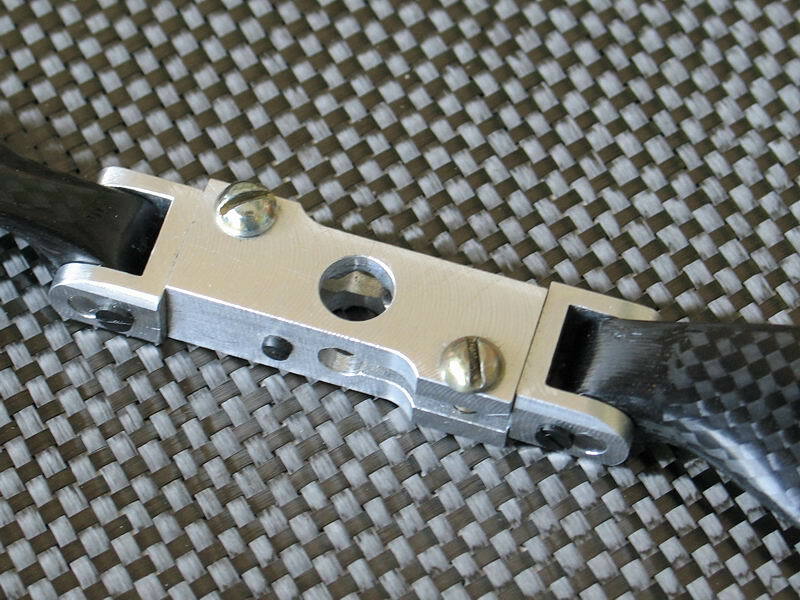 Pitch simple can change from 100mm to 150mm. It need for most effectiveness for different motors. 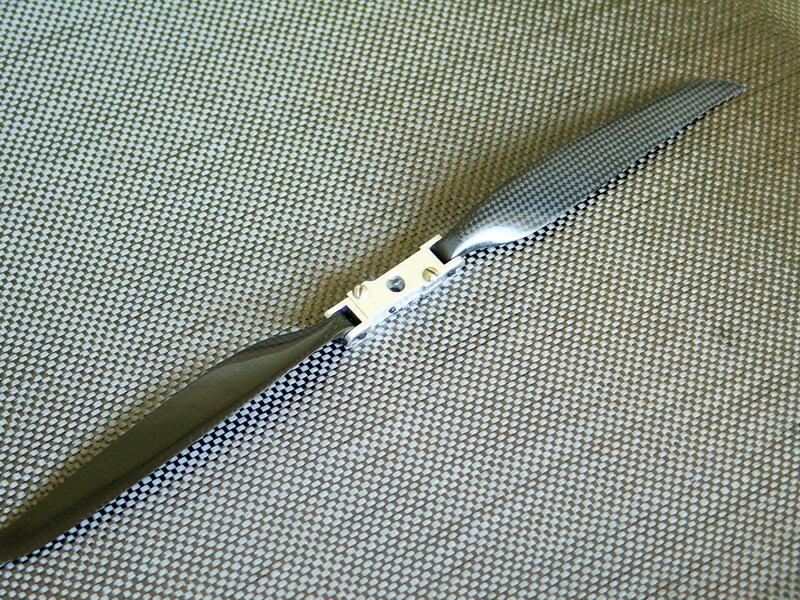 Diameter can change by cutting off the blades. Click on image to full size photo.